Going to the dentist - what to expect? A visit to the dentist can put you on a path towards a beautiful smile and good oral health. Taking care of any problems today will help you avoid serious and expensive health issues down the road. That’s why at Crown Dental, we are here to help you have a convenient, stress-free experience during your first visit and every visit thereafter! You can easily create an appointment with us by calling 014904656 , our friendly receptionist Napsugar will gladly arrange a consultation at a time convenient for you. We are open Monday through to Saturday. You can also make your dental appointment online by filling out our Contact Form online. Questionnaire: a dental and medical history questionnaire is needed to be filled out so that your dentist knows about any per-existing conditions and about any previous dental problems you may have experienced. Greeting: one of our dentist will welcome you into the surgery and listen to any concerns or questions you may have about your dental treatment, whether you have come to us for a specific problem or treatment or just want a general dental check-up. Examination: a comprehensive oral health assessment will be followed including checking your teeth (dental decay, tooth function, your bite), your gum health (periodontal exam) and your soft tissue (mouth cancer check). X-rays may be taken with your consent. 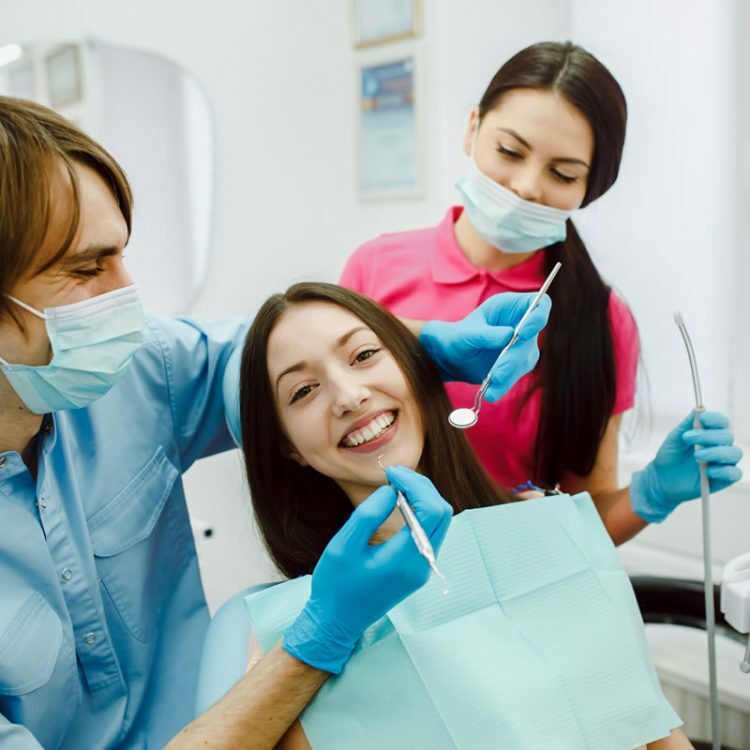 Treatment Planning: when your examination is complete, our dentist will discuss her or his findings with you and will provide you a written treatment plan with all the projected costs. Our whole team is happy to answer any questions or concerns you may have at any stage of treatment. Once you have made your decision to commence treatment, the process begins in accordance with the plan prepared and agreed between you and your dentist.We will then schedule your next appointment. We understand that everyone’s financial obligations are unique and at Crown Dental we are committed to formulating a payment plan that suits you and your budget. For some treatments patients are eligible for 20% Tax Relief and we also offer free consultations on the PRSI scheme and in case of orthodontic treatments. Our experienced dentists aim to deliver the highest standards of clinical care using the best materials, dental laboratories and state of the art technology.We are proud of the work we provide and most of our cosmetic treatments carry a three year guarantee. Please read our Aftercare Instructions.